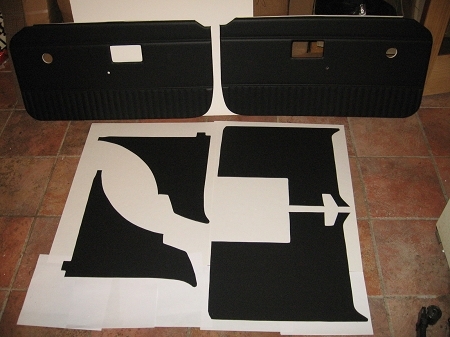 Brand New interior panel kit for MGB Roadster. These are a Black in color. These do not have the plastic chrome strip as original from 1970-1971 but fit all years from 1970-1980. Kit has 6 Pieces as shown. These are very well made in the UK and are as good as the originals.